It’s been rough few months for shares of Canada’s leading cannabis company Canopy Growth (NYSE:CGC). The lead-up to the country’s Oct. 17 legalization of marijuana fueled huge moves in pot shares, including CGC stock. Then, it quickly became a sell-the-news event, and it’s been down and out ever since. Since then, CGC stock has lost about half of its value due to concerns surrounding supply shortages, valuation, and competition. Indeed, supply shortages have put the legal marijuana market in Canada on pause for a few months. The valuation on CGC stock implies a $9.3 billion market cap, just a bit higher than Macy’s (NYSE:M). And, there’s a ton of competition in the nascent cannabis industry, making it tough to pick out long-term winners. But, all those negatives are just a few bad trees. And, when it comes to a long-term growth stock like CGC, you shouldn’t focus on a few bad trees. Instead, focus on the forest. The forest here is quite promising. 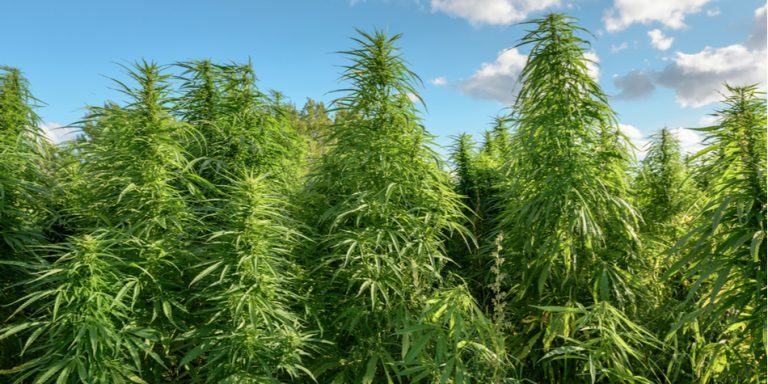 The global cannabis market projects to be several hundred billion dollars big, and thanks to a multi-billion dollar investment from Constellation Brands (NYSE:STZ) and an industry-leading production footprint, Canopy projects to be a leader in that several hundred billion dollar cannabis space. As such, current issues are just near-term noise, and CGC stock will ultimately head way higher in a long term window. CGC stock has lost roughly half of its value over the past two-plus months due to various headwinds. First, everyone expected the legalization of cannabis in Canada to produce huge early results. Those early results have underwhelmed, due to supply shortages and falling cannabis prices. Such concerns are overstated. Supply shortages won’t be a thing forever. The legalization of cannabis across the provinces is an unprecedented event that ushered in unprecedented demand. Meanwhile, cannabis suppliers are still figuring out volume production. Naturally, that combination will create supply chain issues. Such issues won’t last forever. Eventually, cannabis suppliers will figure out volume production, and supply will increase. As supply rises, more black market demand will shift to the legal scene. As that happens, cannabis prices should move higher thanks to more robust demand. Thus, supply shortages and falling cannabis prices are near-term headwinds which should ultimately correct themselves at scale. Second, given the aforementioned issues in the Canadian cannabis market, investors have grown increasingly concerned with the multi-billion dollar valuations the market has given pot stocks. But, these concerns seem overstated, too. Globally, the recreational cannabis market has the potential to be as big as the global alcoholic beverage or tobacco markets, both which are $600 billion-plus markets. Cannabis researcher New Frontier Data supports this (see above), with recent analysis that shows 46% of consumers prefer cannabis to alcohol, with 74% believing it safer than drinking. On the medicinal side, you are easily taking another several hundred billion dollar opportunity. Thus, in the big picture, this is a potential trillion-dollar market. Naturally, a trillion-dollar market will spawn a few $20 billion to $100 billion companies, implying that CGC stock’s current valuation under $10 billion is actually quite reasonable. Third, with cannabis legalization on the increase around the world, the market’s grown concerned about Canopy’s ability to thrive in an increasingly competitive cannabis market. But, Canopy has all it needs to maintain a leadership position in this market. They have an industry leading production footprint, a robust product portfolio, and global reach. Most importantly, they have that $4 billion investment from Constellation. Overall, there are a few bad trees when it comes to CGC stock. But, those bad trees are only bad in the near term, and aren’t of much concern to long term investors. When it comes to Canopy stock, you have an investment in a company that is already the leader in the cannabis market and is armed with a huge vote of confidence from Constellation. Regardless of how things shake out on the competitive landscape, Canopy Growth has the potential to be a cannabis market leader for several years to come. That is a promising position to be in, considering just how big the cannabis market could be. Considering the size of the global alcohol and tobacco markets, there’s also reason to believe the global medicinal and recreational cannabis markets will one day be $1 trillion large. That seems aggressive. Instead, let’s say the cannabis market maxes out at just below the tobacco market, or around $500 billion. Let’s say it takes 10 years to get there. Let’s also say that Canopy only controls about 5% of the global market, and runs at alcoholic beverage market average 30% operating margins. Back of the envelope math produces $25 billion revenue potential and $7.5 billion operating profit potential within a decade. Taking out 20% for taxes and throwing a market-average 16x multiple on the net profits, one can easily see how CGC stock could be worth nearly $100 billion in a decade. That’s 10 years to get from the current near-$10 billion market cap to 10 times that size. Will CGC stock realize this potential? Maybe. Maybe not. The broader point is that Canopy’s leadership position in the potentially huge cannabis markets is the type of situation that could lend itself to a multi-bagger in CGC stock. CGC stock has had a rough few months due to near term concerns related to early hiccups in the Canadian cannabis market, which have exacerbated bigger concerns surrounding valuation and competition. But, such concerns are ephemeral in nature, and will ultimately fix themselves in the long run. In the big picture, Canopy is still the leading company with huge financial and strategic support in a cannabis market that promises to be very, very big. That set-up is the sort of set-up that could lead to Canopy stock being a multi-bagger within the next five to 10 years. Article printed from InvestorPlace Media, https://investorplace.com/2018/12/canopy-growth-stock-investors-should-focus-on-the-forest-not-the-trees/.